The BB-BONE-BBPR-01 is a BeBoPr provides all the necessary I/O to control a Mendel/Reprap 3D printer. 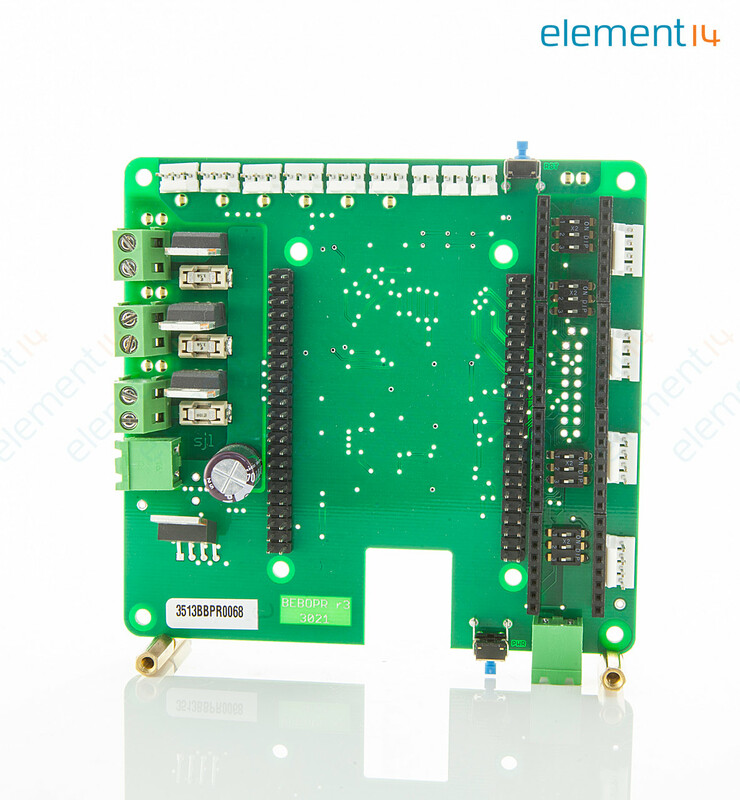 Onboard 3 analogue inputs optimized for thermistors, 6 digital inputs for limit switches, 3 high power PWM outputs for heaters or fan and 4 axis stepper motor interface for either external drivers. The 'hard 'real-time control runs on dedicated coprocessor that is part of the AM3359 on the BeagleBone. The 'soft' real-time control runs on the ARM processor under Linux. 2 layers with PCB thickness of 0.062"